Its host body looked so bad; if it didn’t find a new host soon, it would be stuck. I let it think it had a chance with me. The demon asked why I was sticking around to watch him die. After 71 years, the aliens left. No one knew why. Soon, the children of those that never surrendered came calling. A flat-earther, a creationist, and a martian walked into a bar. The bartender checked the batteries on his taser. The war-world exited hyperspace and settled into orbit. Shocked astronomers admitted that the doomsday prophets had been right. The exorcised – those freed from possession – had no choice but to join the church. It was the only way to handle the guilt. The hierophants agreed: the prince was either possessed, insane, or pretending to be either. The gathered storytellers talked for days: not in sharing stories but debating what stories should be told throughout the land. 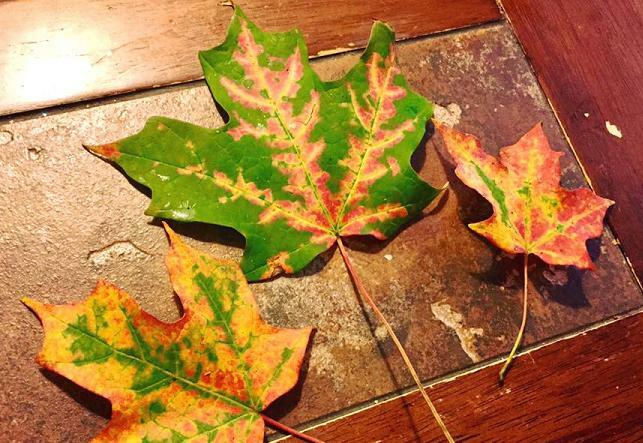 Header image taken by my wife, Lisa Sponaugle, of some beautiful fallen leaves she collected this month. Please don’t use her image without attribution.